I have been beavering away in the background adding new fabrics to the ‘Walkies’ Range while I streamline my manufacturing skills. All handmade to my own designs in 100% cotton fabrics. 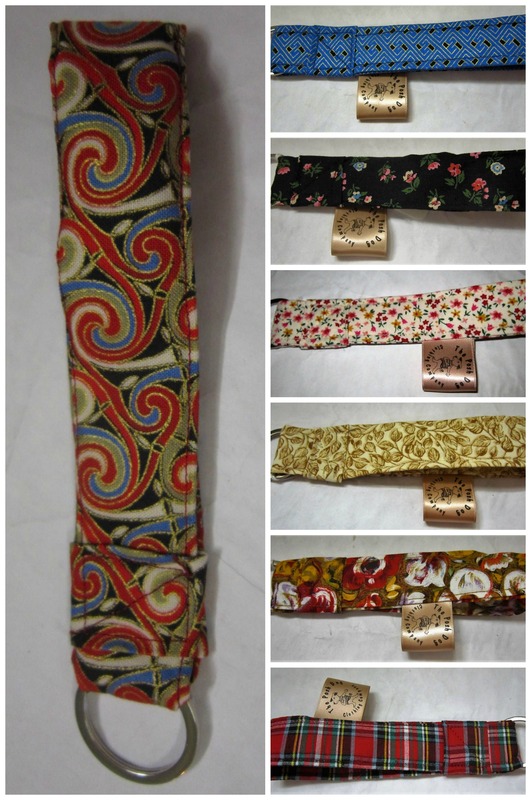 There are only ever 1 or 2 of a pattern in each item – so if you like the pattern grab it while you can. 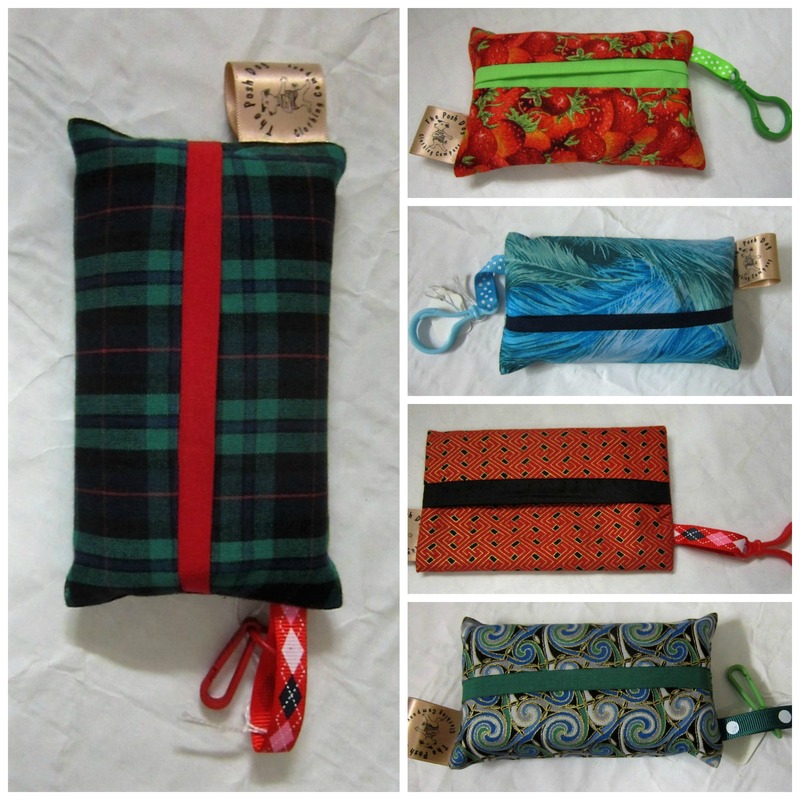 I am thrilled with the way the tissue pouches are turning out – brilliant for just popping into your handbag too. 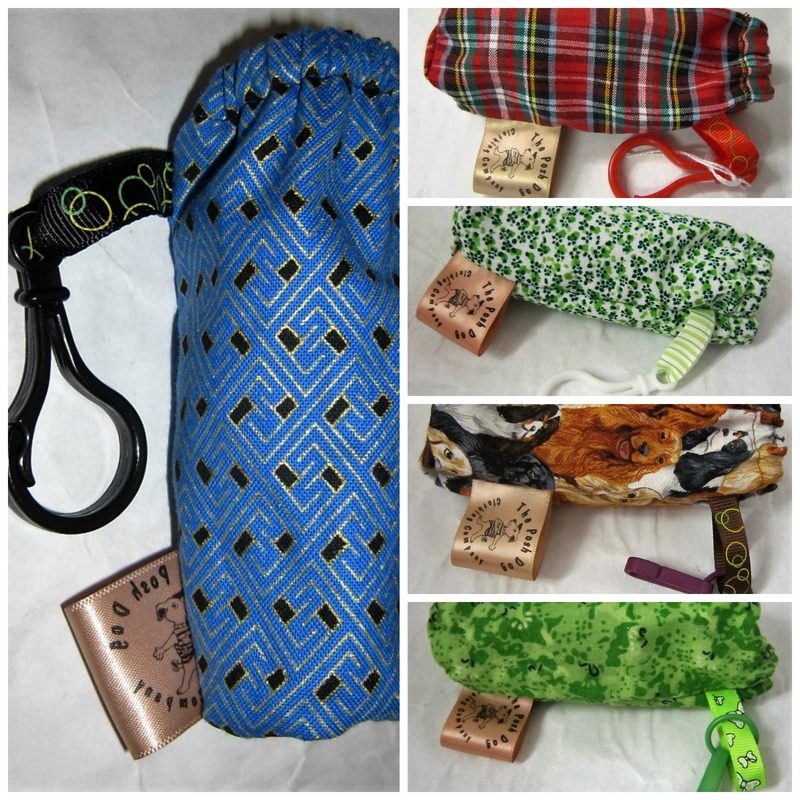 I have just finished a batch of discrete poo bag holders – don’t know about you – but I really don’t want the world to know what is in my bag!